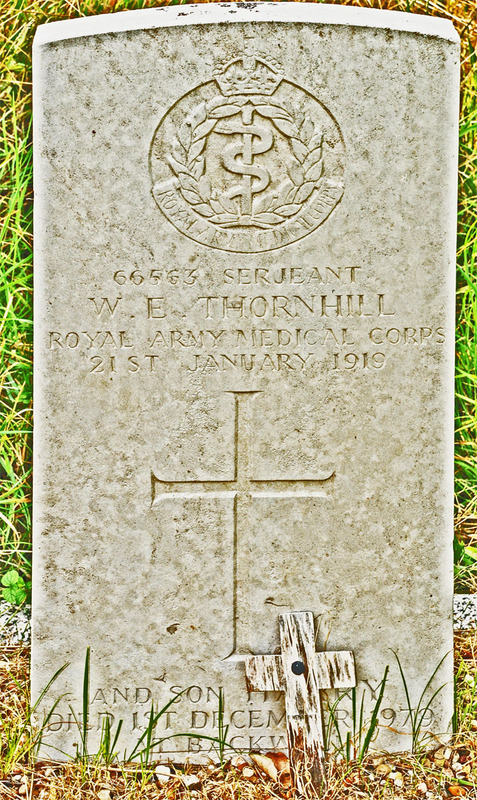 Sergeant William Edward Thornhill, M.S.M. Memorial: Dawlish Memorial Inscription THORNHILL W.E. SERGT. R.A.M.C. 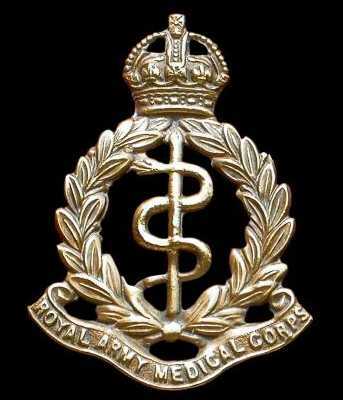 On 18 September 1915 William Edward Thornhill enlisted in the Royal Army Medical Corps at the age of 39 and 350 days at Exeter, having received a ‘Notice’ (presumably conscription). The Medical Examination gave him as being 5’7” tall, of medium build and having a slight stammer in speech. On 20 October he was posted to 99th Field Ambulance in the 33rd Division and embarked at Southampton on 12 November 1915 and disembarked at Le Havre on 15 November. On 3 December he was appointed Clerk with pay, but reverted to ordinary duty on 22 July 1916. He was promoted to Corporal on 14 August 1916. He was appointed Acting Sergeant with pay on 25 November 1916. He was given 11 days leave from 5 to 15 November 1917. He was appointed Sergeant on 24 January 1918. He was awarded the Meritorious Service Medal and this was published in the London Gazette of 18 January 1919. Newspaper reports told of him being given leave at the end of November and on returning home to 10 Park Road he was ‘completely broken down in health’. He died on 21 January 1919 and the cause was given as ‘acute nephritis and Syncope’, whilst on leave from France. William Edward Thornhill came from a Nottinghamshire family to live and work in Dawlish as Secretary to the Dawlish Gas Company. He was a few days short of 40 years old when he enlisted in Exeter. On 8 May 1895 William Edward Thornhill married Emily Ethel Evans at St Andrew’s, Derby. Emily Ethel Evans (1873-1949) was the daughter of the widow Emily Evans who was living at 19 Wellington Street, Derby in 1891. The young couple moved in to live with her mother where his occupation was shown as being a Railway Clerk. By 1911 the family had moved to Dawlish, living at 10 Lansdown Place, and William Edward Thornhill was the head of household and ‘Public Accountant and Secretary to the Dawlish Gas and Coke Co Ltd’. They had two sons, Edward Percy Thornhill, aged 3, and Henry Arthur Thornhill, aged 2, and Emily Evans, mother-in-law, was living with them, aged 66. A further child, Dorothy, was born at the end of the year.